Sonic Zodiac Chart. 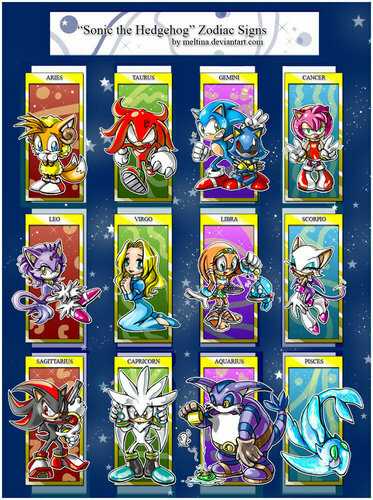 Which is your sonic zodiac :3. HD Wallpaper and background images in the Sonic the Hedgehog club tagged: sonic hedgehog sega shadow. This Sonic the Hedgehog photo contains slot, one armed bandit, slot machine, coin machine, and stained glass window. Arrrrgggghhhhh!!!!!! Where is the Archie characters!!??? Shadow??? I'M NOTHING LIKE SHADOW! *LOOKS UP ZODIAC* AWW CRAP!!! Hah nice I'm Shadow the Hedghog. My mum is Shadow! She loves 'em! Tails...... I'm sooooooooooooooooo alright with that. Look who's representing Cancer. Implications, much?